What’s better than one new Solange music video? Two new Solange music videos. The talented artist actually shared two brand new videos for songs off of her album A Seat at the Table — which was just released on September 30th — and both of them are fantastic. 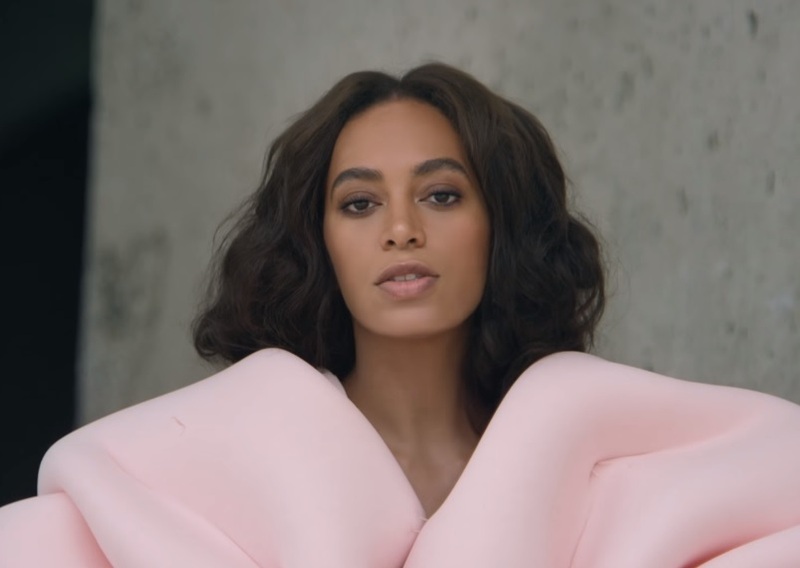 Solange co-directed both videos with husband Alan Ferguson — and Ferguson definitely knows how to direct a good video. After all, he’s responsible for masterpieces like Katy Perry’s “Hot N Cold” back in 2008, and “That Green Gentleman” from Panic! At The Disco, among many more. We dig the slow-motion choreography, which is pretty impressive! The second video released is called “Cranes In The Sky,” and it’s equally calming and serene. Again, Solange drops a beautiful, visually-appealing music video that depends heavily on gorgeous locations and color. This girl has definitely grown up, and these videos prove it. Anyone who thinks that Solange is simply just the younger sister of Beyoncé will soon realize that the Knowles family is just extremely lucky to have two incredibly talented singers in the family! Her new album is definitely worth a listen, and we can’t wait to see if her next video takes on the same tone and beauty as these two!